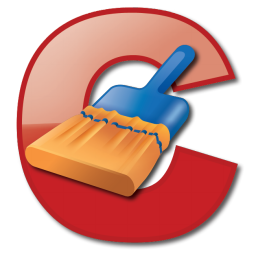 Ccleaner as per the name suggests is a cleaner application, developed for Windows. It is most used cleaner application, as per the popular list of various application review websites. Ccleaner is well known for its faster operation and removal of those .dat files; which you cannot get rid of easily. Well, if you think this is the only thing you will get with this application; you are wrong! The cleaner comes packed with a number of other tools too such as registry cleaner, disk cleaner, etc. It is available in three variants, which can be chosen as per requirement. A free version if the application is enormously popular, providing all the basic functionalities. Free Up Those Useful Bytes! The most essential feature of the application is cleaning junk files. Junk files are those unwanted files which remains struck on your system and eat up the precious space. Well, if you think cleaning up some bytes won’t do any good to your system’s performance; then you need to use this application and observe the results. Junk files are the temporary files, which are produced as by-product of any process such as opening a file on an application like Photoshop, Word, etc. and installation of packages. These files cannot be deleted easily, due to their running dependencies. Ccleaner terminates the dependent application and allows deletion. On windows registry is of considerable importance, as a corrupted registry would not allow certain application to work properly. Registry can be considered as a database containing all the controlling powers and settings for an application; registry works abstracted by defines certain set of rules for the application and managing the operations done by the specific application. Registry is often corrupted, which usually happen when dependent applications are uninstalled or some traces of the uninstalled programs are left. Ccleaner stocks all the registry items and discovers the corrupted entries; once discovered you can then simply fix the registry entries automatically by applying the fixing parameters on ccleaner. This application also allows to delete files securely. Well, in technical terms there is no such term as ‘Delete’. Securely deleting a file refers to deleting it permanently; this process is often termed as Shredding. Shredder has been integrated into this application, thus allowing secure deletion of the file. According to the actual shredding process, files when deleted are typically hidden from the interface and allotted an unused extension containing traces of the file. Whole file can be recovered from this trace, shredding overwrites a file to the same location of the deleted file, thus the original file cannot be recovered. Ccleaner consist of everything which you might be expecting to have in a cleaner application, along with some additional tools. Other additional tools includes disk cleaner, using which you remove the duplicate files and free up the fragmented space. Start-up manager, which allows to enable, disable and delete start up programs. Apps uninstaller, which allows to uninstall certain programs. Along with this it automatically detects you working processes and automatically performs certain tasks in background. Posted by Shivam and has rated 92 / 100 by 210 users also labeled with: Windows Software.